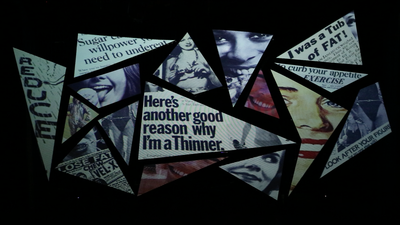 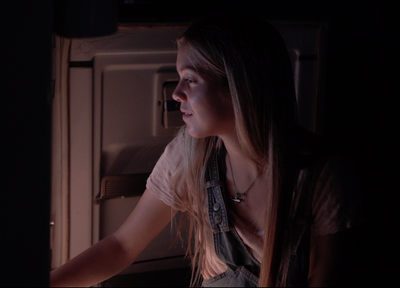 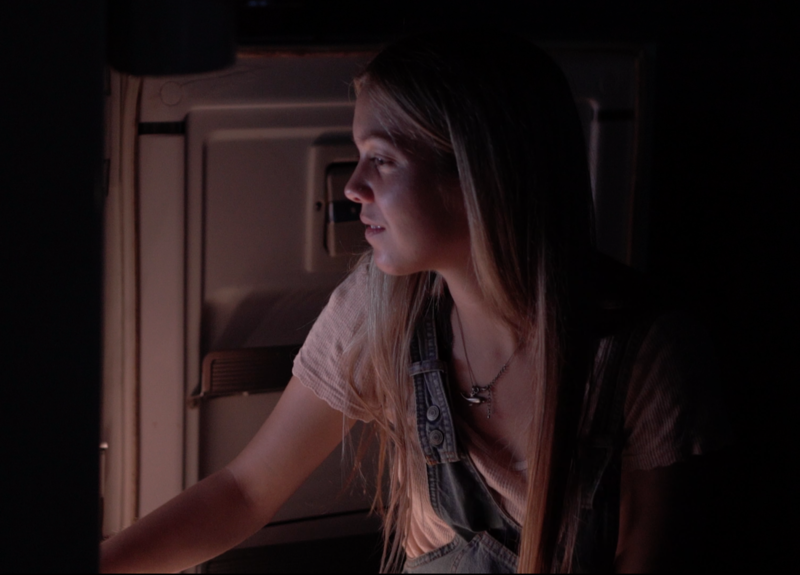 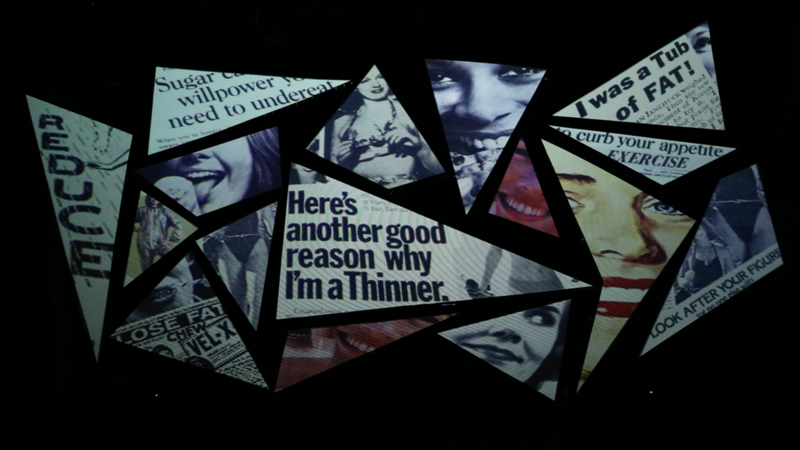 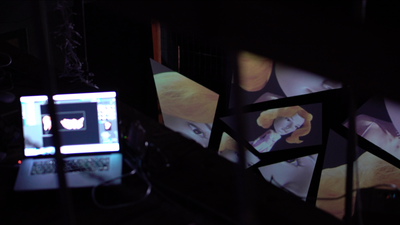 Hungry Eyes is a transmedia piece (part installation and part website) that observes Hungry Eyes (female) and her relationship with bulimia in response to an excess consumption of food and media. 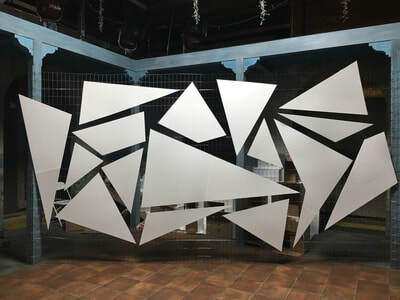 The installation's reliance on shattered/multifaceted imagery underscores Hungry Eyes’ fragmented sense of self and a kaleidoscopic state of mind. 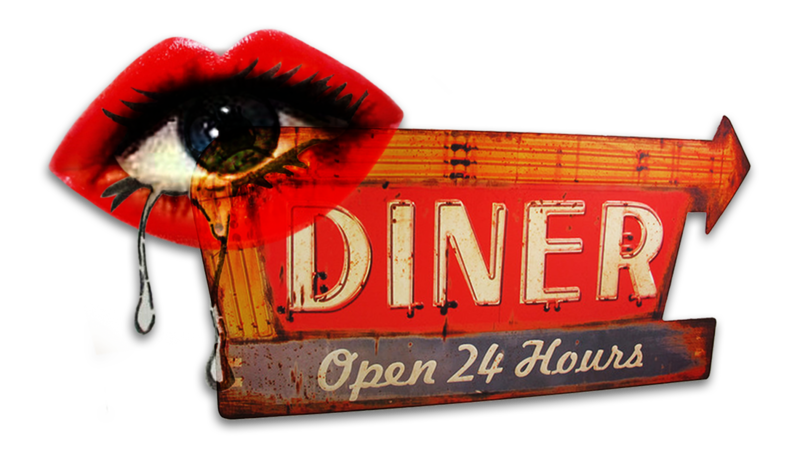 ​hungryeyez.com further explores Hungry Eyes' psyche and post-cinematic context from her POV. 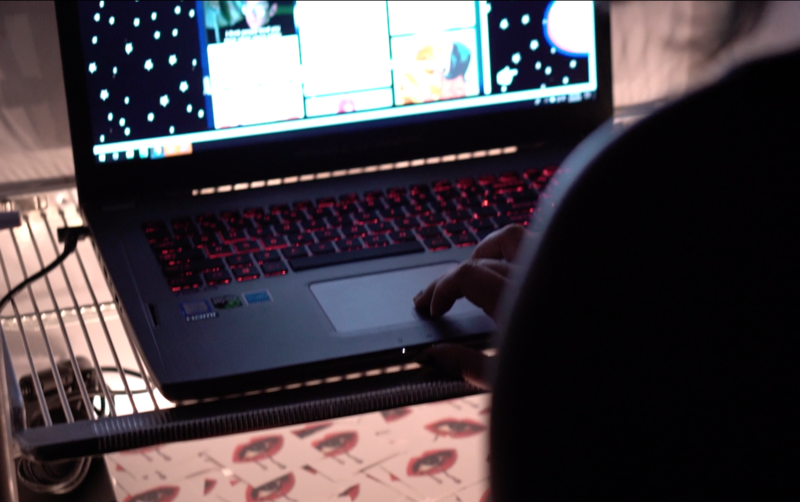 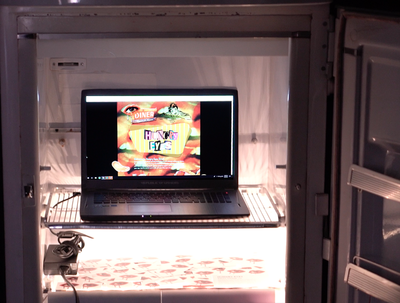 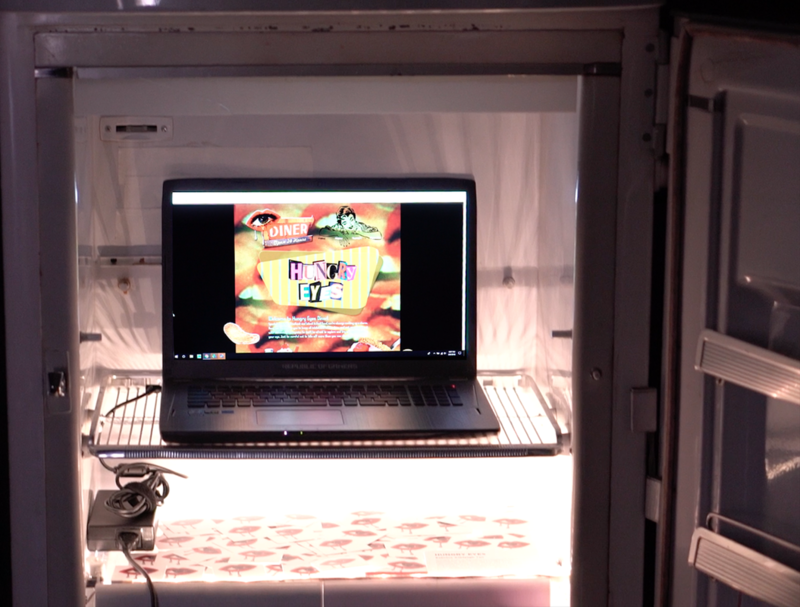 During the exhibit, people navigated the website on a laptop set up inside a fridge.